Polybags Ltd was established in 1961 and has been trading online here at Polybags.co.uk since 1999. 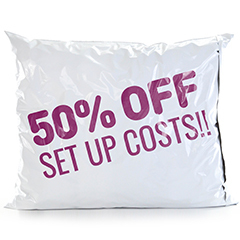 Over more than half a century the company has grown from a small enterprise to the UK's leading polythene manufacturer. Throughout this journey we have always placed the customer at the heart of everything we do, striving to provide first class products at competitive prices in exactly the way that you need them. With a smile. By sticking to this same ethos we believe we continue to stand out from the crowd, whilst our customers value our experience in the industry and continue to place their trust in us. 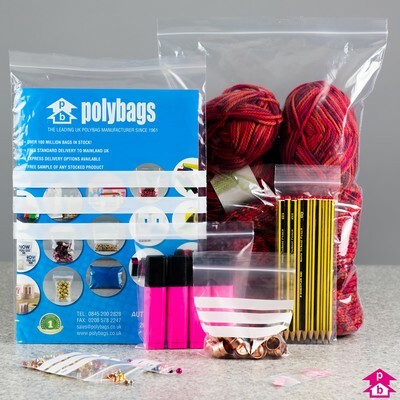 Polybags was founded in 1961 by Geoffrey Davies who purchased a bag-making machine advertised in the local paper, put it in his garage and started selling door-to-door. His wife Pamela even found herself making deliveries whilst out walking the baby in the pram. In those early days, Geoffrey found that the key to success was to listen to his customers' needs and to be responsive and ready to sell at all times. It soon became a badge of honour that every family holiday would end with an order for bags from the hotel they stayed at. As sales grew, Geoffrey teamed up with college friend Brian Turner who lead development of the production process. This included the start of in-house blown film extrusion and 24-hour production. Polybags flourished under Geoffrey and Brian's leadership and, as production grew, the company moved on to larger factory premises in Alperton, West London. The 1980s brought further growth as we moved into a new and larger factory in nearby Greenford, using the extra space to continue to develop our extrusion capabilities, whilst also starting to keep a range of packaging items in stock. In the 1990s Polybags merged with local companies Kings Polythene and Cockshott Films and, through continued growth of our manufacturing capability, customised product offerings and a market-leading e-commerce website, we soon established ourselves as the UK's number one polythene packaging manufacturer. Today Polybags operates from the same Greenford site, enlarged and enhanced to suit the needs of 21st century commerce with an expanded warehouse to facilitate the increased quantity and range of stocked products we now supply. Our management team is headed by Jon Lomax who is looking to build upon the company's customer-led guiding principles with an ever-increasing product range, including an expanded eco-packaging range, featuring a choice of biodegradable, compostable, recycled and recyclable packaging. Quality of both products and service levels are hugely important to us and we are very proud to hold the Royal Warrant for provision of goods to HM The Queen. We have also been ISO Quality Approved since 1998. With over 100 million polythene bags in stock, we can cater for a huge volume of orders, whilst our around-the-clock manufacturing means we can prioritise urgent jobs that require a quick turnaround for our customers. Our huge product range and in-house manufacturing allows us to maximise flexibility and competitiveness, meaning we can offer quality products tailored just to your needs, all at factory prices. And the size of your order is not important. Of course we love big orders, but equally no order is too small. Polybags is big enough to cope, but small enough to care. Our clients range from multinational corporations to brand new start-ups and sole traders, all of whom receive the same level of customer service from the moment they begin their order to the follow-up call after they have received it - a standard Polybags practice for all our customers. 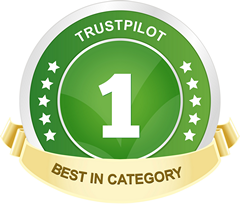 We are proud of our customer service record and will always place the customer at the heart of everything we do. We really appreciate your business and will never forget that our long term success depends on simply one thing - you. Polybags has also been leading the way in online customer communication since 1999. Back then the world wide web was still in its relative infancy. Email was just getting popular but there were no smartphones, no Facebook and you probably wouldn't have 'Googled' anything - the company was only a year old. Online retail certainly wasn't a big thing, but Polybags was at the forefront - one of only a few companies to launch a pre-millennium website for customers to purchase products online. 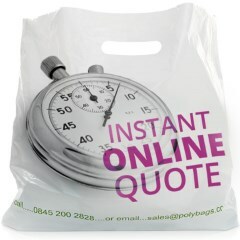 Polybags.co.uk quickly became the leading UK website for polythene packaging and has remained there ever since. The website has obviously changed a fair bit over the years as technology has developed, but we've always strived to make it functional and simple to use for our customers, allowing you to purchase the products you need swiftly and securely. So, while you're here, why not have a good look around the website or browse our online shop. As always, if there's anything you need, please don't hesitate to get in touch. Browse our massive range of polythene products. Lots of good reasons to shop at Polybags. We're here to help with any query or order.